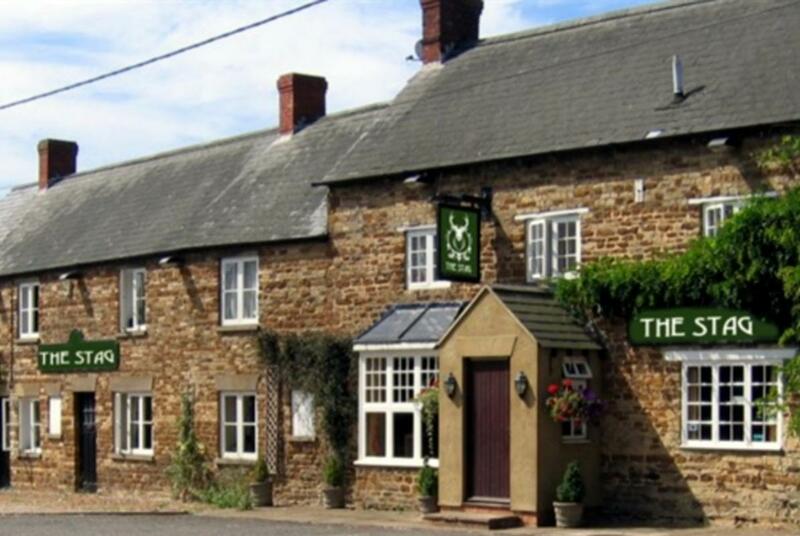 Meet at “The Stag” (previously “The Stags Head”) Harborough Road, Maidwell at 10.15 to pre-order lunch, starting the walk as usual at 10.30. There will be 2 low stiles and some steps. but mostly a flat circular walk towards Draughton. As it’s our 250th walk let’s make sure it is well supported, as it is quite a landmark. The milestone of 250 walks was celebrated on Thursday 20 September. 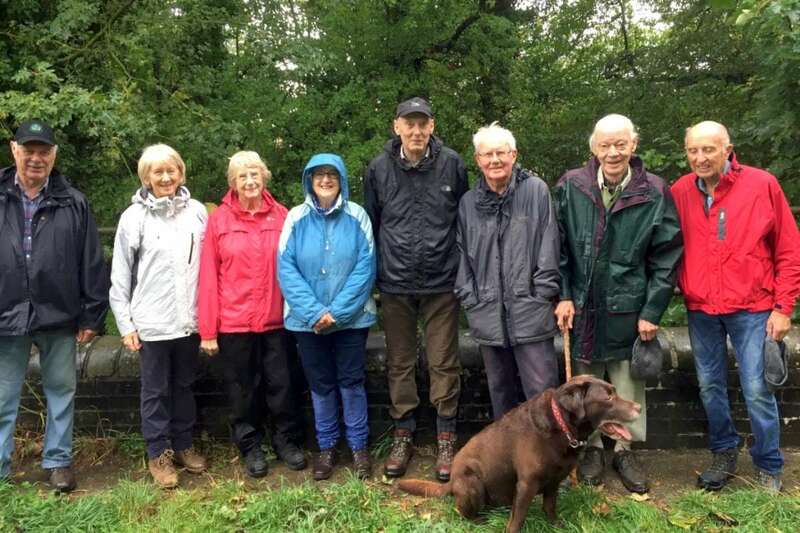 The first walk was in October 1996 when Gethin & Margaret Jones, Chris Mahony, Kevin & Sue Greatorex, Jack & Edna Swainston and Peter Brown were the participants. Since then, Gethin and Margaret have topped 300 walks between them and have missed only 63 of the total. It was fitting therefore that serendipity (or good planning) meant that Margaret organised the latest walk. Up the road to Draughton, over three stiles which caused David Harrop serious damage as he had to lift Jack over them, and on to Maidwell station. Unfortunately the steps on the metal footbridge had been removed so we were unable to have a high level bridge photo. Anyway, the views were lost in the rain. 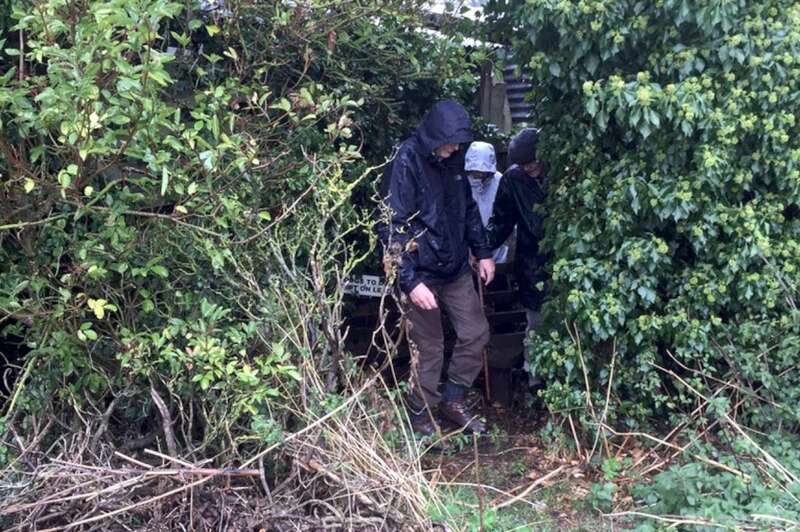 After barracking from the effluent collector who proclaimed us mad to be walking in this weather, we continued back to Maidwell and the warmth of the Stag. 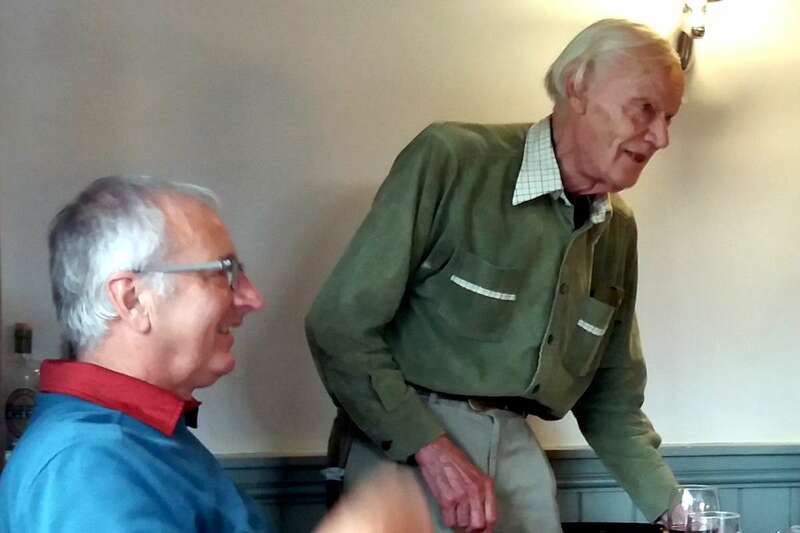 There to meet us were old friends – Chris & Pat Mahony, Desmond & Mary Keohane, Peter & Deirdre Newham – and regulars Stan & Val Evans, Diane Saunderson, Lesley Allitt and John & Cindy Evitt (great to see you John). 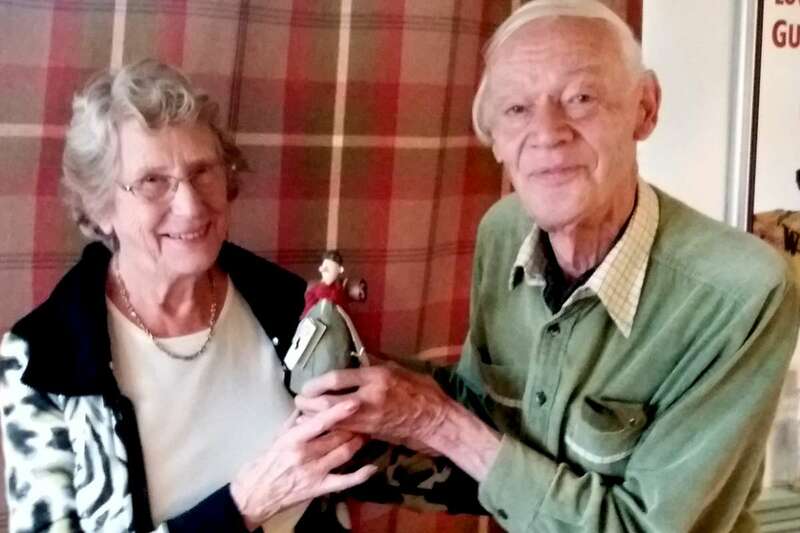 A convivial lunch was enjoyed by all and the Walker of the Month trophy was presented to Margaret; another piece of masterful planning (no, serendipity) as Margaret was (if my memory serves me correctly) the very first recipient of that trophy when I gave it in my presidential year. Gethin would have been proud! !